This activity is for students who have a background of dance training. It is not a substitute for dance training, but an extension of that training. Time restrictions allow only enough time to teach a performance routine and' not enough time to teach technique. The Dance Club performs at school in the May Arts Festival and a select few members become part of the Dance Team that performs at halftime at selected basketball games. The club practices are held at Anna Marie's Academy of Dance. Dues for the dance club are $80 for the 15-week session. Sessions run from January to May. This activity is for students who have some background in theater. The club will be selected in January and will meet at least once per week to study theater, dramatic presentation and to, ultimately, perform on stage in late May as part of the Fine Arts Festival. The fee for membership is $80 for the 15-week session. 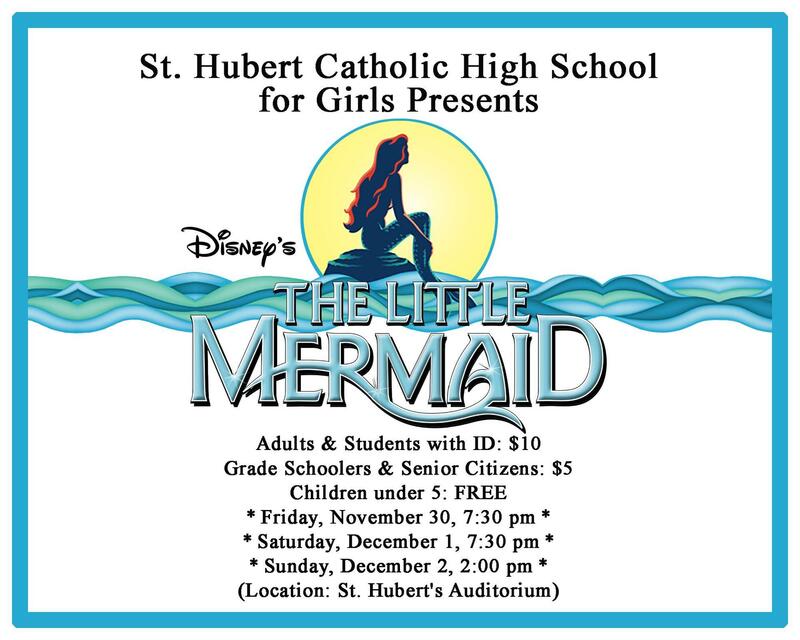 St. Hubert presents a fall musical each year. Through an audition process, a cast is chosen. Students may participate as actors, singers, dancers, musicians, stage crew, and scenery design and construction. The goal is to expose the students to a professional level of theater. Students are required to pay an $80 fee and purchase/sell $100 worth of ads for the Musical Program. DVDs and T-shirts can be purchased at an extra cost. Those interested in the technical aspects of drama, such as lighting, sound, or scenery, may join. This group supplies various technical assistance to anyone using the auditorium for drama performances or special assemblies. The crew meets on an “as needed” basis.